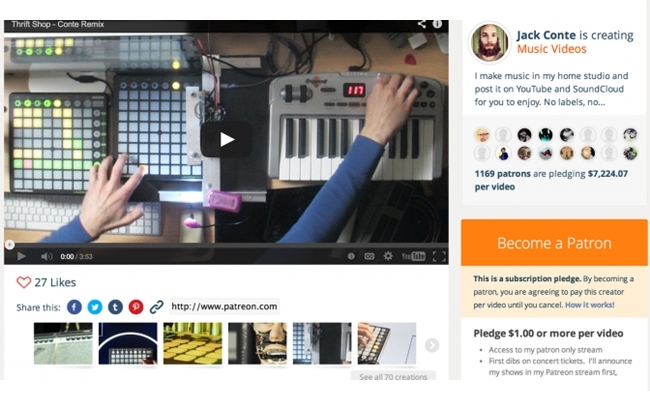 For cash-strapped creators, Patreon is proving to be a viable option. The crowdfunding platform co-founded by YouTube creator Jack Conte is growing at a rapid rate, and a new platform has been added to further streamline the funding process. The platform adds another asset for Patreon’s users, a group that includes YouTube musicians Peter Hollens, Smooth McGroove, and Scott Bradlee. 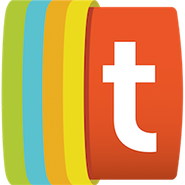 Since its launch last year, the site has racked up 30,000 unique users, nearly 10,000 creators, and a 70% monthly increase in page views. By asking users to offer a regular, intervallic donation instead of a one-time payment, Patreon is making its creators some serious money, too. “We have creators on Patreon who are making over 20x what they make from YouTube ad revenue,” said Conte. Creators hoping to raise money through crowdfunding have plenty of options, but Patreon’s model is beginning to look like the best fit for the YouTube community. In fact, the relative lack of big-name creators using the site is surprising. Expect that to change in the coming months.